Relive the history of the great logging boom era at the Johnny Appleseed Festival on 318 South Main Street in Sheffield, Pennsylvania. 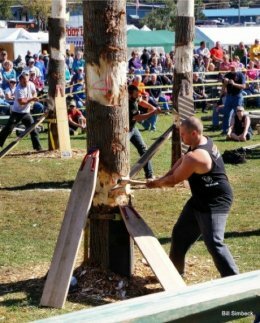 The skills of old are the competitive events of today, and the same competitive spirit of the lumberjacks of yesteryear is still very much alive at the annual Johnny Appleseed Festival. 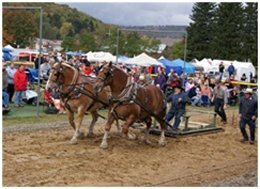 The schedule of events offers something for everyone: antique tractor pull, draft horse pull, wine tasting event, antiques appraisal, music, apple pie baking contest, chain saw carving, fireworks, professional lumberjack competition, food, and crafts. 12th Annual Johnny Appleseed Festival: October 13 – 15, 2017.